The Early Show's makeover series Putting It Together gets closer to the finish line. We asked you to decide on an outfit for Brengle, and the leather and tweed look got 65 percent of the votes. "That was my first choice. I like it," says makeover winner Lori Brengle. 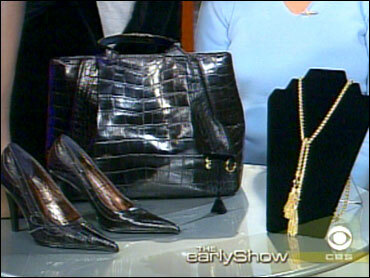 Stylist to the stars David Evangelista offered the following options for you to choose from. And viewers voted for the Sporty Chic look. Hose: Wolford Black Fishnets, $38. Monday, Nov. 17, get ready for the full transformation. Thanks for Putting It Together for Lori Brengle.